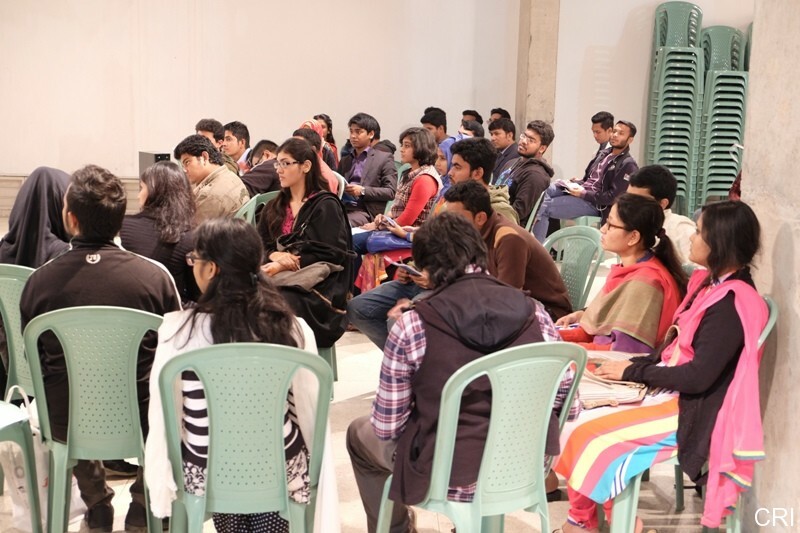 As part of preparations for Centre for Research and Information (CRI)’s upcoming Let’s Ta!k with British MP Tulip Siddiq titled “Road to Westminster”, a Focus Group Discussion (FGD) was held on 27 December, 2015 at Bangabandhu Memorial Museum Auditorium, Dhaka with the presence of around 40 students of various public and private universities. The purpose of the FGD was to introduce Tulip Siddiq to the participants and equip them with the necessary background knowledge for interacting with one of the youngest British MPs. Before the discussions started on Tulip Siddiq, the participants were given a brief introduction and shown an audio visual presentation on CRI, to make them more acquainted with the type of work the organization does, and events they organize for bringing politics closer to the youths. 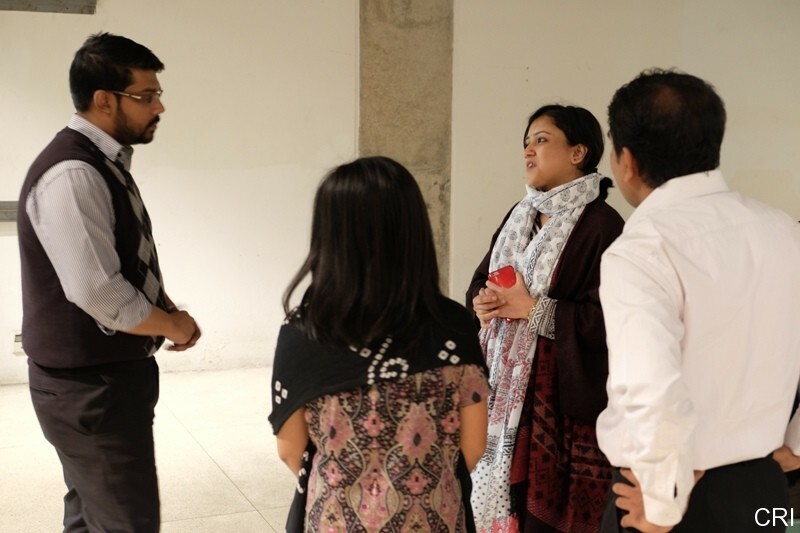 They were also briefed about CRI’s Young Bangla platform, which seeks to recognize, showcase and support young achievers from across the country, and given forms to fill up should they choose to register as a volunteer. 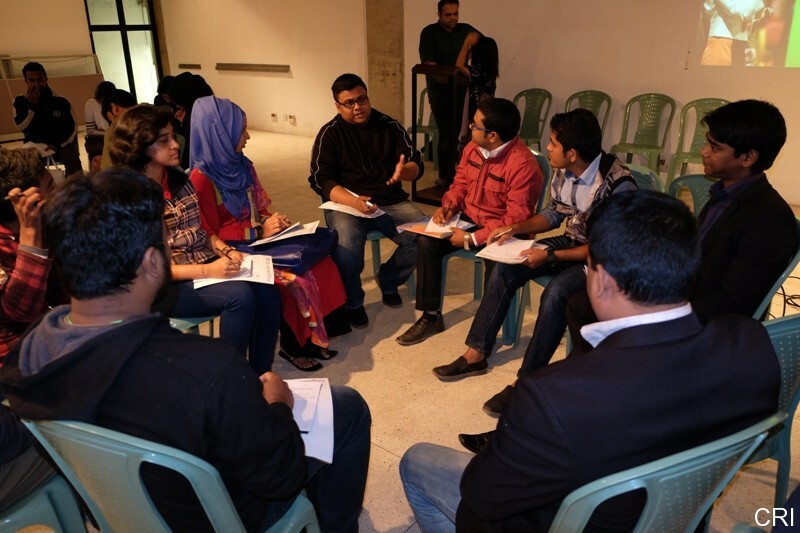 In total 26 participants registered with Young Bangla after learning what the platform has done for youths in the last one year. As part of the FGD, two interactive exercises were arranged. 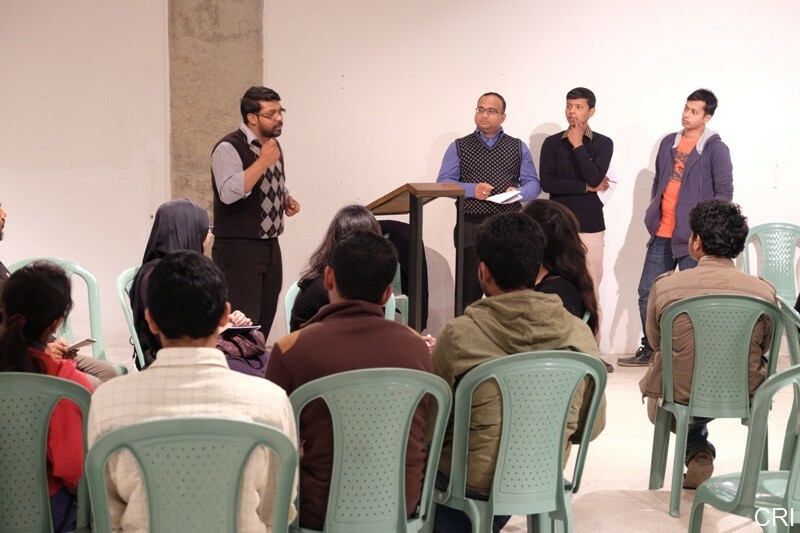 Participants were firstly asked to state to what extent they know Tulip Siddiq MP and from which source/s; and secondly, participants were asked to formulate, and present, questions from three segments, namely: Tulip the Person; Tulip the Politician; and Tulip’s Future Vision. It transpired form the first exercise that almost all participants had good working knowledge about Tulip Siddiq, the British Labour MP. But they were also aware about her family ties to the Father of the Nation Bangabandhu Sheikh Mujibur Rahman and Honorable Prime Minister Sheikh Hasina. They also referred to Tulip Siddiq, along with Rupa Huq and Rushanara Ali, the other two British Bangladeshi female UK MPs, as the “Pride of Bangladesh”. 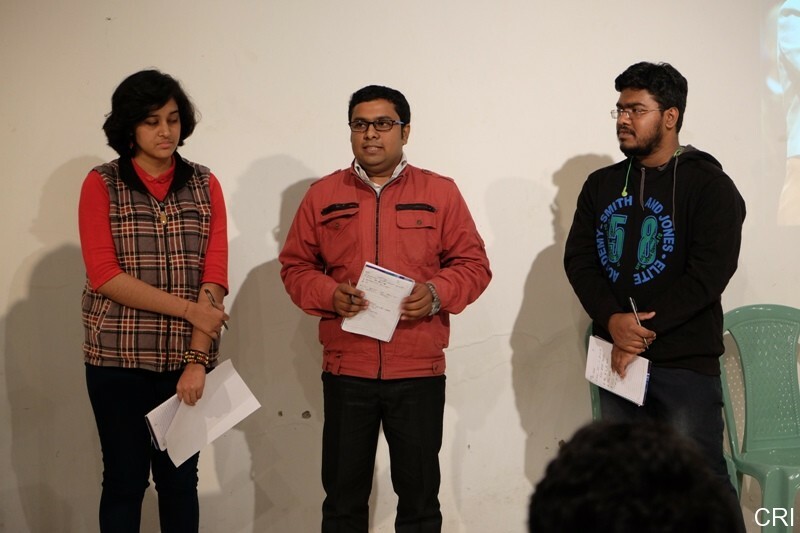 All the participants (who numbered around 40) were divided into 4 groups and asked to formulate 5 questions each from three segments, namely: Tulip the Person, Tulip the Politician, and Tulip’s Future Vision. 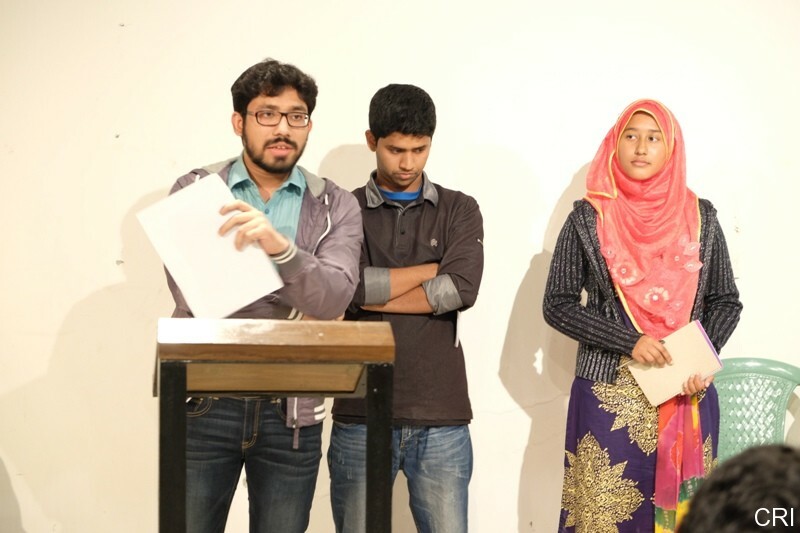 Later, the groups were asked to identify three members from their respective groups to present the questions. The participants came up with unique questions on an assortment of areas. Among others, participants seemed interested to know how difficult it was for Tulip Siddiq “the Muslim Woman” to become an MP in UK, about her hobbies, family and childhood memories; the extent of her awareness of Bangali culture; her thoughts on being the grand-daughter Bangabandhu and the niece of HPM Sheikh Hasina; how she manages/balances her personal and political commitments; what would she have done with her life if she did not join politics; her role models and personality. There was considerable interest in Tulip Siddiq’s political life too. There were, among others, enquiries on why she chose to do politics in UK rather than Bangladesh; whether there are differences between politics in UK and Bangladesh; why she joined the Labour Party and other globally important political areas such as religious extremism, gender discrimination, student politics, UK foreign policy, her own political aspirations and advise for youths and women of Bangladesh. Tulip Siddiq’s role in further developing UK-Bangladesh ties also featured prominently. 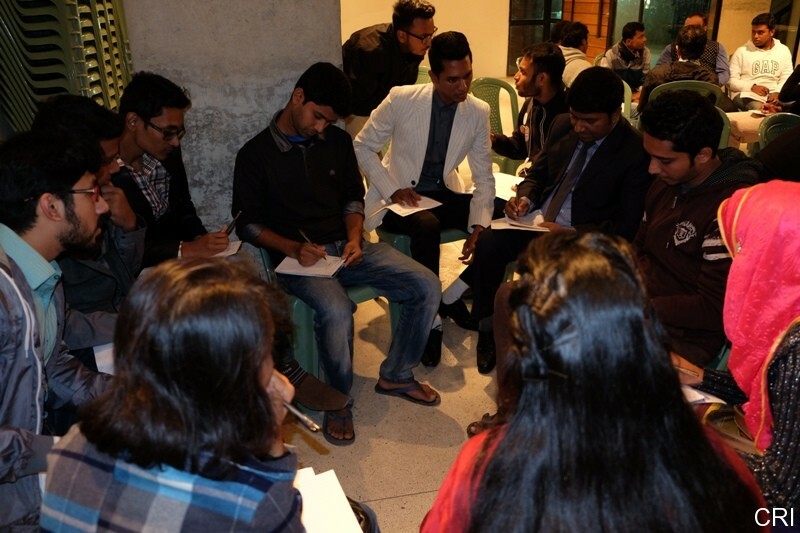 Participants asked what Tulip wants to do for continued development of Bangladesh from her position in UK, such as exchange of ideas and technology between the two countries, developing the youth and empowering the women of Bangladesh. 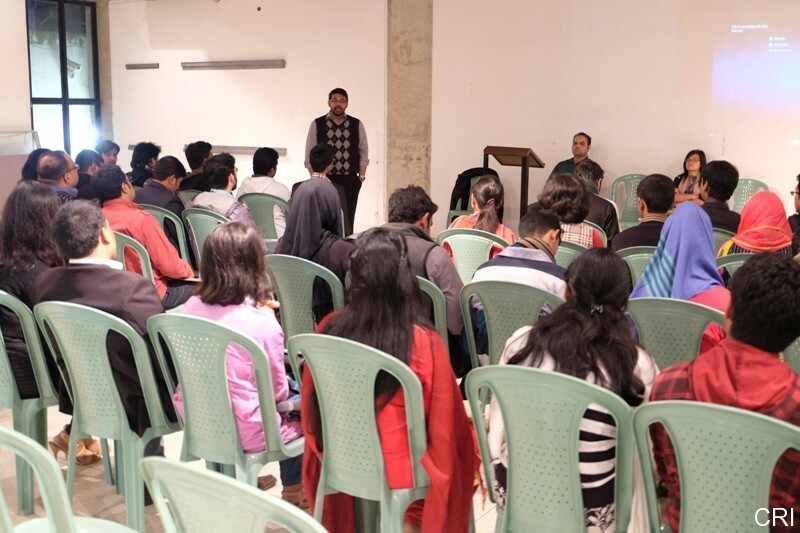 The FGD was conducted by Mr. Shah Ali Farhad (Policy Analyst, CRI) and Ms. Priyanka Chakma (Program Officer, CRI). The event was attended, among others, by Ms. Nobonita Chowhdury, the moderator for the Let’s Ta!k event on 30th December, and a known TV media personality, who offered her guidance and help in making the event more interactive and fruitful. Let’s Ta!k with Tulip Siddiq MP on “Road to Westminster” will be held on 30th December, 2015 at Radisson Blu Water Garden Hotel, Dhaka. Ekattor TV will record the programme and telecast it on 5th January 2016 (Tuesday) at 9.10 p.m.